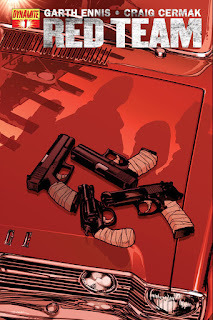 The Fellowship was fortunate enough to obtain a copy of RED TEAM #1 from Dynamite Comics. Garth Ennis writes, and Craig Cermak draws. In this book Ennis gives us a glimpse into the darker inner workings of the police, the kind of thing that we don’t hear about but seems perfectly reasonable. It makes us wonder that this doesn’t happen more often. Or at least Ennis’ writing is good enough to make us think that way. Eddie walks us through the thought process behind the killing, and the scary thing is that it makes sense. This is a fantastic start to what promises to be a hell of a ride. 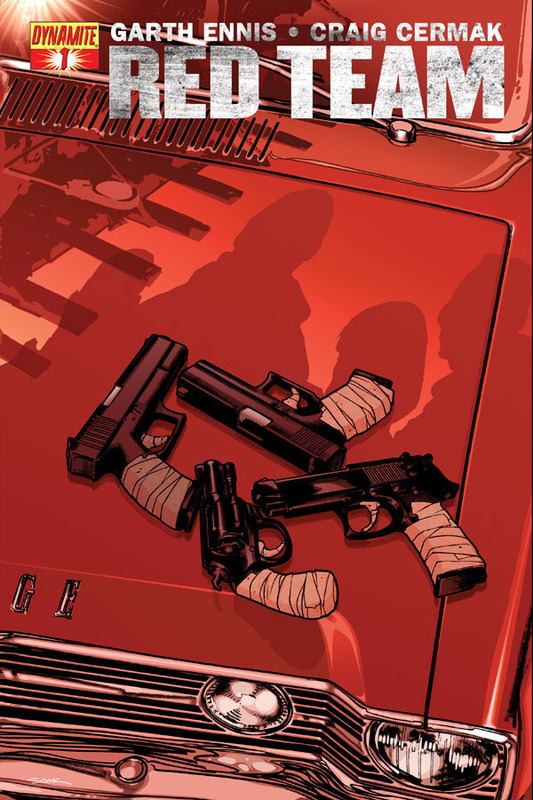 Dang it, Garth Ennis has me hooked again. RED TEAM #1 is available now at your FLCS or by order from dynamite.net.